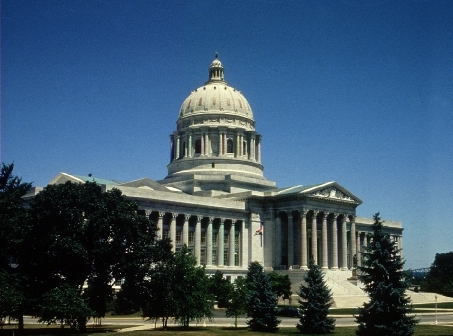 February 17th marked the first lobby day of this legislative session for Missouri Health Care for All. This is my third year of being associated with this coalition focusing on Medicaid expansion. There was a great turnout as we developed eight teams of ten to go out and visit with our senators and representatives. My group was successful with our contacts as we were able to talk to four of our representatives. Our purpose was to bring attention to expanding Medicaid for those falling into the coverage gap. We were speaking on behalf of low-income people especially the elderly and disabled struggling to get health insurance through Medicaid. However, eligibility for Medicaid is so low in Missouri that there are hundreds of thousands of people who don’t qualify for the program. Please contact your state senator and state representative and tell them to close the coverage gap and expand Medicaid. Ask them to support the bills: HB 1565, HB 1405 & HB 2211. I was surprised to find out throughout the day just how far behind Missouri is compared to other states. HB 1565 would gradually raise Missouri’s asset limits, allowing people in poverty to save their own money for important expenses. Right now those asset limits are still set at the same rate they were set at back in 1967. It is due time for an increase.